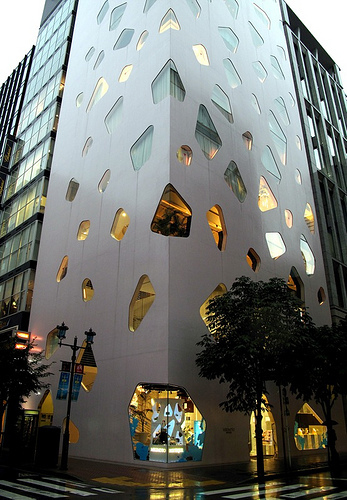 In an upscale area of Tokyo, Ginza, there is a unique building standing out conspicuously. Can you tell what store is in it? Well, it is not cheese store, even though it kind of looks Swiss cheese LOL. The answer is a Japanese pearl shop, Mikimoto! 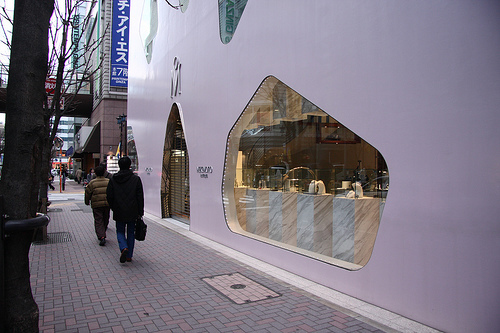 The color of the outer wall is pink pearl, and the surface is seamless and almost pearly. 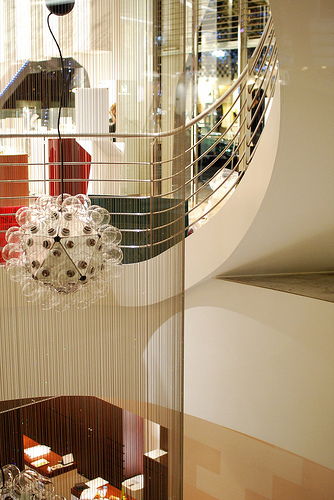 The building has nine floors above ground and one below ground, but there is no pillar inside. The thin walls are the structure of the building. 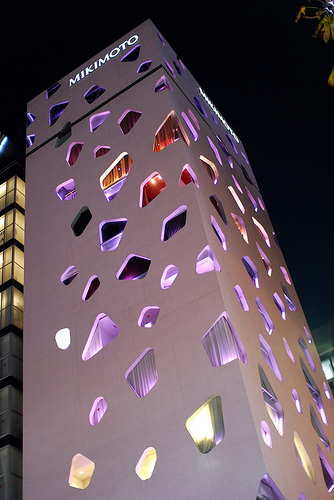 The building was built in 2005, designed by a Japanese architect, Toyo Ito, who is known for creating conceptual architecture. It stands out more at night. The purple lights are beautiful on the pink pearl building.